As a natural hair diva, you know the struggle that can come with keeping your hair moisturized and healthy. But we’re here to tell you that there is hope! Check out our list of some of the best moisturizers for dry natural hair. Akilay Naturals Moisture Rich Parfait: This cream-based product is ideal for naturalistas who are looking to improve shine and overall manageability. It contains argan oil, coconut oil, and shea butter. African Pride Shea Butter Miracle Hair Moisturizer: This moisturizer is great for ones that may have mixed textures. So if you’re transitioning, this is a great product to restore shine, bounce, and get rid of dryness in your tresses. Miss Jessie’s Leave-In Condish: This leave-in conditioner is lightweight and leaves your hair moisturized and bouncy without the undesired residue. Ouidad Curl Quencher Moisturizing Conditioner: For the most brittle and driest heads of hair, this is the product you need. It’s filled with botanical ingredients and vitamin and serves as a detangler making it more manageable and help protect it from any further damage. Finding the perfect moisturizer all comes with trial and error. There some moisturizers that may not work the best for you, but may do wonders for the next woman. But whatever the case may be, you always have the expertise of the pros at Beauty Concepts Salon available to you. 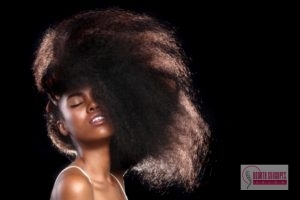 Whether your dry natural hair is in need of some serious rescuing or you just want a new style for your healthy head of hair, call us at 817-724-9059. Posted in Uncategorized on October 24, 2016 at 9:56 pm by Beauty Concepts Salon.